What makes cTrader such a great platform is that it all-round provides what most traders need. Not only that, the platform looks slick. Consider the appearance of some other platforms, that’s a major achievement. Many platforms out there are simply mind-boggling. Buttons are everywhere. Intuition alone won’t get you very far. Most platforms have a steep learning curve. cTrader is very focused on providing a solid user experience. A lot of that comes from the design. Many of the merits of cTrader are also the transparency of the platform, the quality of the execution, the inability of brokers being able to edit trade history, the wide range of order types and risk protection settings. Also what sets cTrader apart is the charting experience. 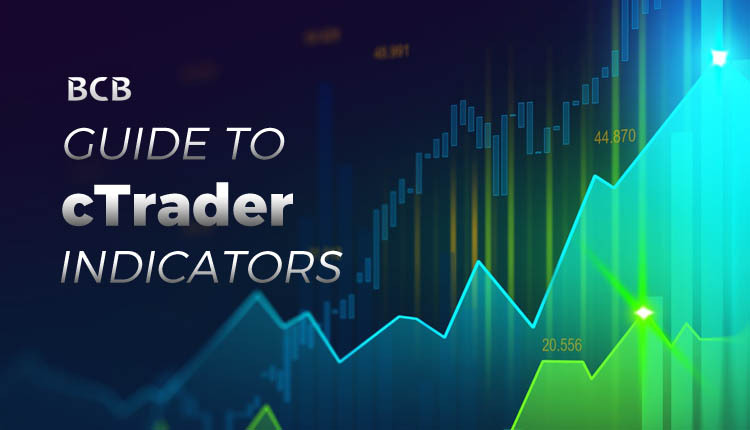 In this article, we are going to explore cTrader Indicators. It’s very easy to use cTrader indicators. There are two ways that you can select and add a new indicator on a chart. Which one you choose is down to your preference. Use the cTrader context menu inside of any chart. The context menu has many options and controls, it’s a good idea to familiarize yourself with it. Many features can be accessed from here. Right-click inside the chart which you want the indicator to be applied to. Just don’t click on another object, like another indicator. A context menu will present itself, hover over the “Indicators” option. Scroll through the different categories or search for the indicator you are looking for. Now a new window pops up. Here you can edit the properties of the symbol. Or just click “OK” to apply the defaults. Every chart has a ribbon of settings and options. This can be used to zoom in and out, change the chart type, time frame and of course, add cTrader Indicators. Place the mouse cursor on the f icon along the ribbon. Like in the previous instruction, a context menu presents itself. Find the indicator you are looking for and select it. Once you have applied an indicator on cTrader you are able to customize it. The easiest way to do this is to right click on the indicator you want to edit. As you do this, a new window will open and here you can adjust various settings. What you can change depends on the indicators itself. In most cases, you can change the appearance, such as the colours and line style and thickness. You could also change the indicator properties too, such as the number of levels shown, the periods calculated for each level and the source used for calculating the lines, such as Open, High, Low or Close. We’ve published a number of articles which explain specific technical analysis indicators which are available on cTrader in detail. The range of technical analysis indicators inside of a trading platform is of high importance. With cTrader and the MetaTrader platforms, you are able to add your own indicators. 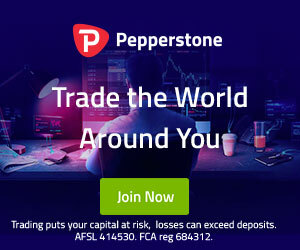 However, many forex traders are unlikely to take advantage of this feature. This is either because of the complexity of writing your own scripts for cTrader or ignorance to the simplicity of just buying indicators from vendors such as ClickAglo. To examine the number of technical analysis indicators inside different forex trading platforms, you will see that cTrader is the clear winner by almost 30%. You should also notice that out-of-the-box MetaTrader 4 actually has the fewest!